The Aston Martin Valkyrie supercar is a result of cooperation with Red Bull. LONDON -- Aston Martin is looking to get more engaged in Formula One, CEO Andy Palmer said amid speculation of a title partnership with Red Bull and future engine involvement. "We want to be more involved in the sport," Palmer told Britain's Channel 4 television while attending the Singapore Grand Prix on Sunday. "We’re currently studying the 2021 engine. If we get a reasonable regulation that brings down the cost of the engine, Aston would like to be involved in the engine," the executive said. "And then, of course, we would like to be involved a little more next season and then join the dots. But it really depends on what happens with the engine regs." Red Bull and Aston Martin have an existing relationship, with the team's racecars carrying branding for the marque since last year. 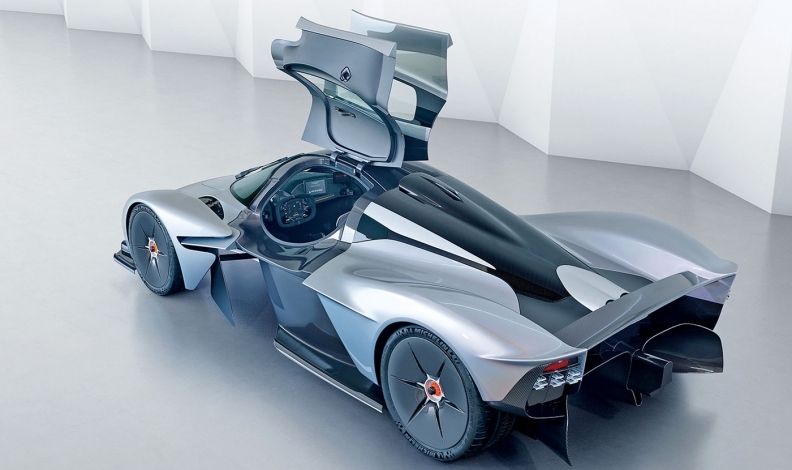 Top designer Adrian Newey, whose Renault-powered Red Bull racecars won four successive drivers' and constructors' titles between 2010-13, has worked with Aston Martin on the AM-RB 001 Valkyrie supercar. Media reports have suggested Aston could become Red Bull's title sponsor next season. Palmer, who is a former Nissan executive, was a key figure in negotiating a similar deal for the Japanese manufacturer's Infiniti brand, which has now gone to the Renault works team, to partner Red Bull. The British-based team currently use Renault engines, branded Tag Heuer. Formula One, under new management since U.S.-based Liberty Media took over in January, and the sport governing body, FIA, are looking at what sort of unit will power the series once the current agreement expires in 2020. The aim is to bring down costs and allow a cheaper and less complex engine than the current 1.6-liter V-6 turbo hybrid power units, one that could also encourage new manufacturers into the sport. Aston Martin, a 104-year-old firm, last competed in Formula One in 1960.